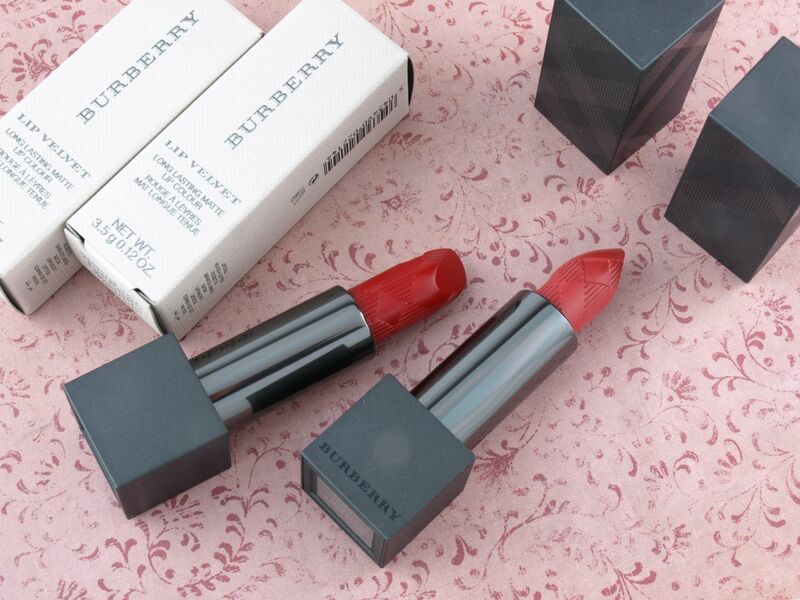 The Lip Velvets come in the same gunmetal gray rectangular packaging as the Burberry Kisses. The tubes have the same subtle tartan etchings but the Lip Velvet tubes are matte as opposed to reflective. 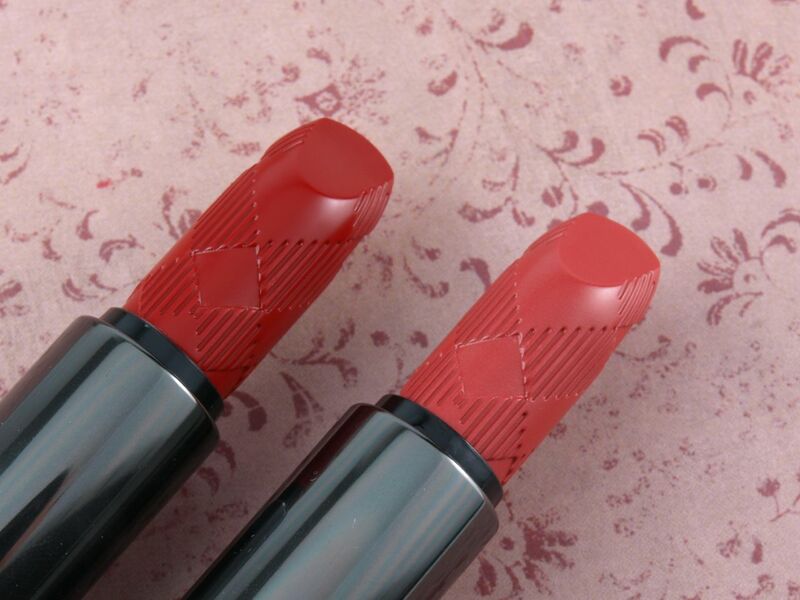 The lipsticks themselves are also molded with the tartan pattern, which looks super cool. 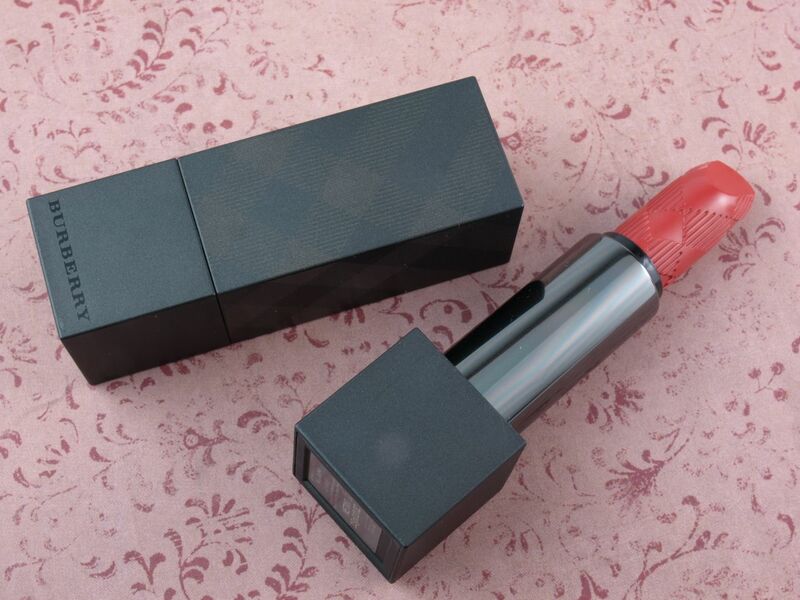 However, a big downside of the design is the shape of the lipstick tip, which is too wide and clumsy to use. A lip brush is a must if you want clean lines. With a featherlight formulation that's both rich and pigmented, the new Burberry Lip Velvets have a fairly natural matte finish that still retains a teeny bit of sheen. The lipsticks are not drying and they have an okay wear, I get about four hours with minimal eating and drinking. 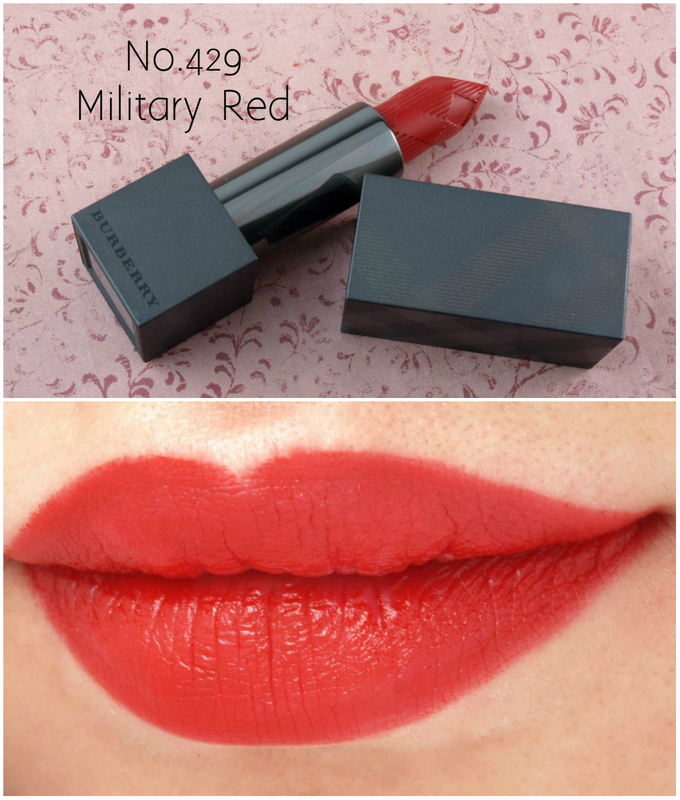 No.429 Military Red: A simple true red, Military Red is richly pigmentated with a super smooth application. 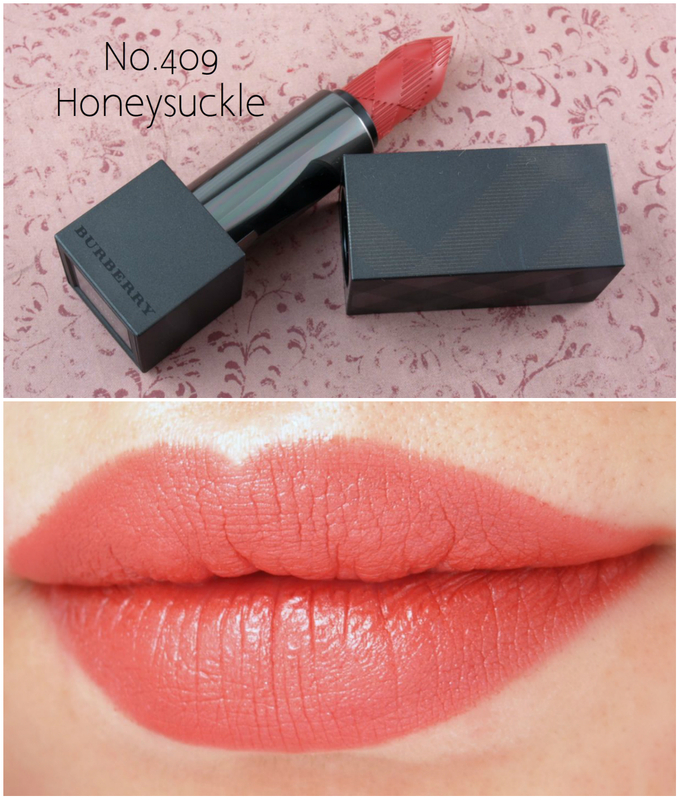 No.409 Honeysuckle: This is a very pretty soft peach pink with a great pigmentation. The color is super spring and summer friendly. 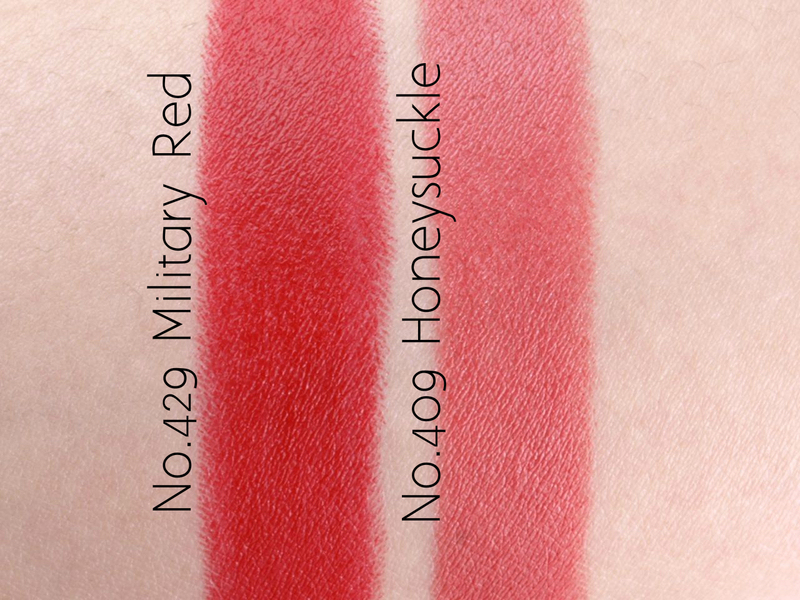 Burberry Lip Velvet Long Lasting Matte Lipstick in "No.429 Military Red"
Burberry Lip Velvet Long Lasting Matte Lipstick in "No.409 Honeysuckle"
These are some beautiful lipsticks with a lovely formulation. The colors are rich yet super lightweight. My only critique is the shape of the lipstick bullet, which is way too wide and clumsy for a precise application. Burberry Beauty products are available online at Sephora and in stores at Nordstrom, and The Bay.